These café-styled events introduce new resources, and enable you to network and share ideas in a supportive and dialogic learning environment. This seminar series is aimed at staff who are interested in sustainability education research across the University. 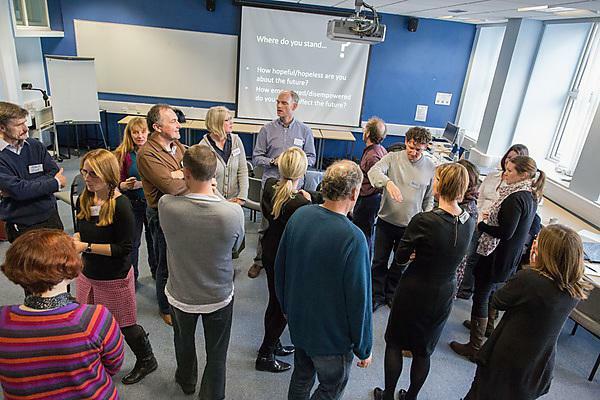 Interested in bringing sustainability into your teaching but don't know where to start? Come along to one of our workshops which will introduce you to the field of sustainability education and the University's strategy in this area. It will provide practical support and access to a range of resources that will help you to critically and creatively consider how you might best integrate sustainability education into your own practice. To book a place please see the Introduction to Sustainability Education and the UN Sustainable Development Goals information. Collaboration is important to sustainability education and we take every opportunity to get together and share thinking, ideas, and practice.